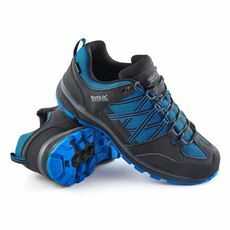 Perfect for walking on a trail and providing a perfect grip, Regatta Walking Shoes are ideal when you want your hike to be free from discomfort. 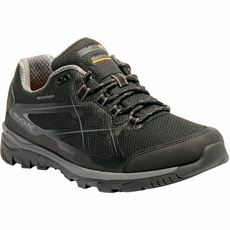 Tested on the field and path, Regatta Walking Shoes come constructed to help you go the extra mile. 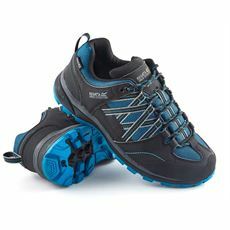 Fabrics range from Isotex 500, which is an independently tested fabric that is Waterproof, Windproof, Breathable,to Regatta's own sole systems, engineered to maximise grip, underfoot stability and comfort. 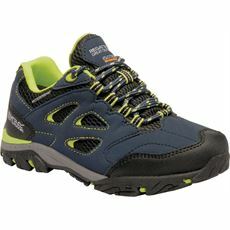 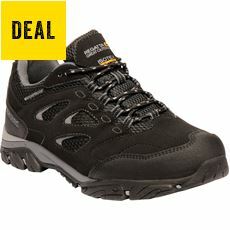 Typically a Regatta walking shoe includes features such as a Triple Density Outsole, a compression moulded EVA midsole, shock pads and Carbon rubber outers – all adding up to plenty of comfort and technical knowhow.With padded collar and tongues, rubberised heel and toe bumpers , your only choice is choosing what colour, and what adventure to take it on!